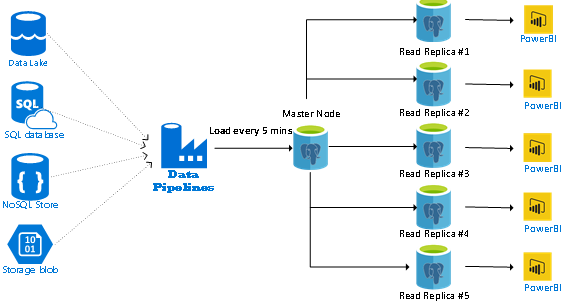 Scale out read-heavy workloads on Azure Database for PostgreSQL with read replicas, which enable continuous, asynchronous replication of data from one Azure Database for PostgreSQL master server to up to five Azure Database for PostgreSQL read replica servers in the same region. Replica servers are read-only except for writes replicated from data changes on the master. Stopping replication to a replica server causes it to become a standalone server that accepts reads and writes. Replicas are new servers that can be managed in similar ways as normal standalone Azure Database for PostgreSQL servers. For each read replica, you are billed for the provisioned compute in vCores and provisioned storage in GB/month. Power your high throughput and high IOPS workloads including big data applications, SQL and NoSQL databases, data warehousing, and large transactional databases with Lsv2-series Azure Virtual Machines (VMs), which run on the AMD EPYCTM 7551 processor with an all core boost of 2.55GHz. The Lsv2-series VMs offer various configurations from 8 to 80 vCPUs with simultaneous multi-threading. Each VM features 8 GiB of memory and one 1.92TB NVMe SSD M.2 device per 8 vCPUs, with up to 19.2TB (10 x 1.92TB) available on the 80vCPU L80s v2. We are launching the Lsv2-series in the following regions: East US, East US 2, West Europe, and SE Asia. We plan to make these new VMs available in more regions in the coming months including West US 2 in February and North Europe in April. Get insight into performance of your Azure SQL Data Warehouse queries using Query Store. The SQL Server Query Store feature provides you with insight on query plan choice and performance. It simplifies performance troubleshooting by helping you quickly find performance differences caused by query plan changes. Query Store automatically captures a history of queries, plans, and runtime statistics, and retains these for your review. It separates data by time windows so you can see database usage patterns and understand when query plan changes happened on the server. Query Store is available in all regions for all generations of SQL Data Warehouse with no additional charges. SciKit-learn is a first class, open source machine-learning library in Python that is used by many companies and individuals around the world for scenarios ranging from fraud detection to process optimization. Microsoft joined the SciKit-learn consortium as a platinum sponsor and released tools to enable increased usage of SciKit-learn pipelines. Support is now available for using SciKit-learn in inference scenarios through the high performance, cross platform ONNX Runtime. The SKlearn-ONNX converter exports common SciKit-learn pipelines directly to the ONNX-ML standard format for use on Linux, Windows, or Mac. In addition, support is also available for SciKit-learn training in Azure Machine Learning to automatically generate the best SciKit-learn pipeline according to your training data and problem scenario. Ensure business continuity by keeping your business apps and workloads running during outages. Azure Site Recovery supports replication of any workload running on a supported machine from a primary site to a secondary location, including all major Linux server versions on VMware. Site Recovery service is updated and improved on an ongoing basis. Over the last six months, we extended support for the latest OS version releases from multiple providers such as Red Hat Enterprise Linux (RHEL), CentOS, Ubuntu, Debian, SUSE, and Oracle. 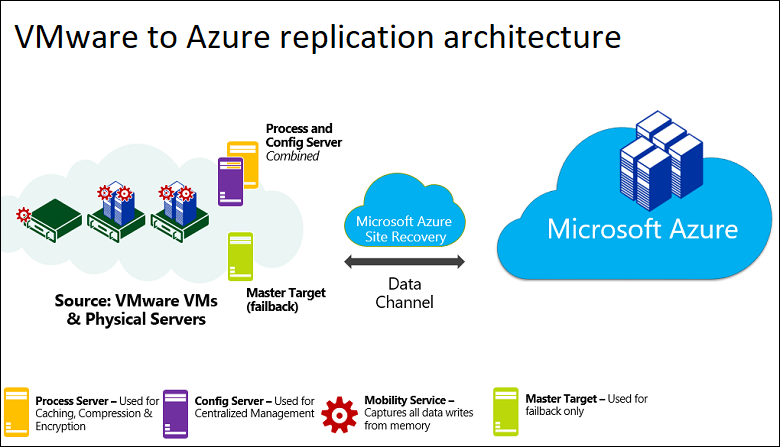 Orchestrate and manages disaster recovery for your Azure VMs with Azure Site Recovery. Azure provides native high availability and reliability for your mission-critical workloads running on IaaS virtual machines (VMs). Improve your protection and meet compliance requirements using the disaster recovery provided by Azure Site Recovery. Check out this post to get a recap of all the new capabilities from the last few months, including support zone-pinned Azure VMs and disaster recovery of Azure Disk Encryption-enabled VMs. 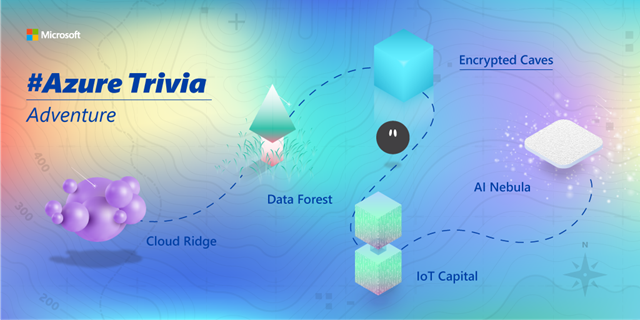 Adventure awaits: Azure Trivia is back! If you loved playing #AzureTrivia on Twitter last year, it’s back! This year's #AzureTrivia celebrates your love of problem solving, growth, and adventure. Players will be taken on an exciting, mystical journey where you’ll not only pick up new skills, but test your technical prowess in order to unlock new lands and win some sweet, sweet swag. Check out @Azure on Twitter every Monday for a new Azure-related question to tackle. See this post for more details, including a handy FAQ and a link to the official rules. Stream Analytics Visual Studio tools together with Azure Pipelines provide an integrated environment that helps you develop and source control your Azure Stream Analytics jobs and set up automated processes to build, test, and deploy these jobs to multiple environments. In this post, Jie Su covers the end-to-end development and CI/CD process using Stream Analytics Visual Studio tools, Stream Analytics CI/CD NuGet package, and Azure Pipelines. Recently a flaw was discovered in PolKit - a component that controls system-wide privileges in Unix OS. This vulnerability potentially allows unprivileged account to have root permission. In this blog post, learn about this vulnerability and how an attacker can easily abuse and weaponize it. 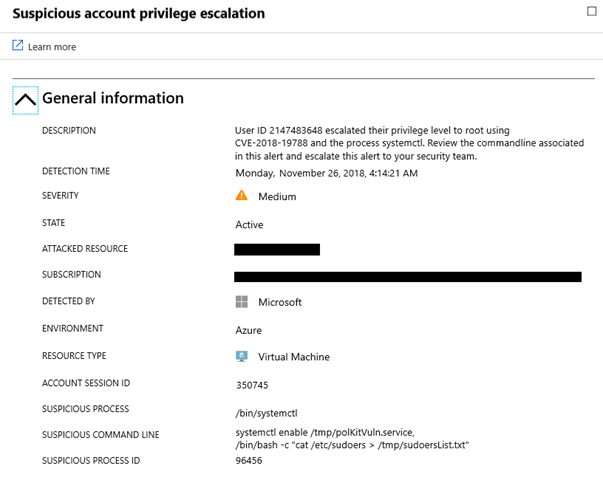 In addition, learn how Azure Security Center can help you detect threats, and provide recommendations for mitigation steps. QnA Maker is an easy-to-use web-based service that makes it easy to power a question-answer application or chatbot from semi-structured content like FAQ documents and product manuals. With QnA Maker, developers can build, train, and publish question and answer bots in minutes. Active Learning in QnA Maker helps identify and recommend question variations for any question and allows you to add them to your knowledge base. Your knowledge base content won’t change unless you choose to add or edit the suggestions to the knowledge base. 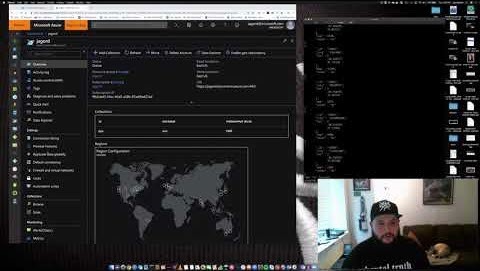 Jay Gordon shows you how quickly you can configure your data's consistency level and replication across the Azure Cloud. In the second part of a series on Azure Blueprints, Sonia Cuff writes about a new command in the PowerShell Gallery to import and export Azure Blueprints and their artifacts (JSON and Infra as code). The post also describes use cases (multi-subscription, promote test to production, multi-tenancy/multi-org) and command syntax, and drives to official resources. If you have a project on GitHub, chances are you will want to continually build it to ensure it's still compiling, that it's still working with all tests passing, and possibly create a release of the project that allows you and others to simply use the latest version, without having to manually compile/package it. For all that, you need a build pipeline. In this post, you'll learn how to use Azure Pipelines' GitHub integration for more complicated builds and projects, including installing from the GitHub marketplace, finding your repo, and starting to define your first build. The team talks to Kip Kniskern, managing editor of OnMSFT.com about his impressions of Azure after he finished migrating OnMSFT.com to Azure. Steve Steuart from Astadia joins Scott Hanselman to show how a mainframe reference architecture based on Azure enables you to deploy your mainframe assets to a native Azure environment. You can the leverage all the available Azure services with your new mainframe in the cloud, including AI, Power BI, IoT, and Machine Learning. Get ideas about how to build engaging conversational applications using this fun retail example that leverages services from across Microsoft. What does Azure DevOps have to do with generators, Captain Kirk, and ponies? Where can you get therapy for your VB 6 scars? Why don't Angular, React, and Vue developers have a cool logo like docker? How can you automate your development pipeline using whatever tools you want with Azure DevOps? We turn to the triple amazing Donovan Brown to lay this all out. Find out what Microsoft Windows IoT has planned for 2019! Get an early look into how Windows IoT can help you quickly build safe, smart devices that can be the foundation of your IoT solutions. Azure provides multiple virtual machine configuration options for you to set up your virtual machine exactly how you want for whatever you're trying to do. 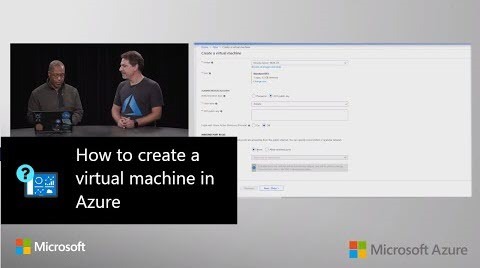 In this video of the Azure Portal “How To” Series, learn how to configure a basic virtual machine and connect to it in minutes in the Azure portal. In this edition of Azure Tips and Tricks, learn how to push a container image to a Docker Repo. 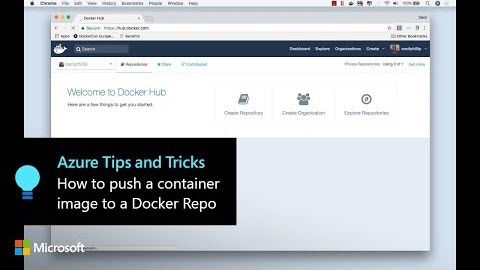 Once you've signed up for a Docker account, you can easily come to the Docker Hub and push your containers to your registry. 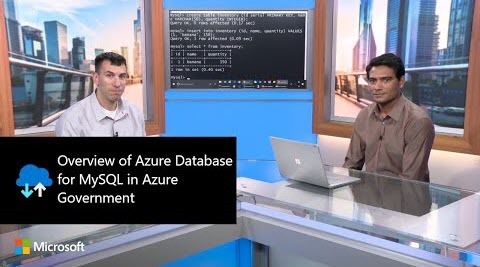 In this episode of the Azure Government video series, Steve Michelotti talks with Sachin Dubey, of the Azure Government Engineering team, about Azure Database for MySQL in Azure Government. MySQL is one of the most popular open source relational databases ever, but running it at an Enterprise scale has its challenges just like any other database. Now with a fully managed PaaS offering, Azure Database for MySQL provides the perfect unification of the underlying MySQL database, which developers know and love with the world-class security, scalability, and reliability of Azure. Sachin also discusses the benefits of Azure Database for MySQL and demonstrates how easy it is to get up and running with Azure Database for MySQL in Azure Government. In this week's episode, Jeffrey Palermo reviews some of the current industry news and tips, including; an interesting announcement in the A.I. space about Cortana, ServiceNow Change Management in Azure Pipelines, Azure DevOps Agents on Azure Container Instances (ACI), .NET Core 3 and 4.8, and an article about Razor Components. He also gives his 10 tips for rapidly recovering when a deployment breaks badly. 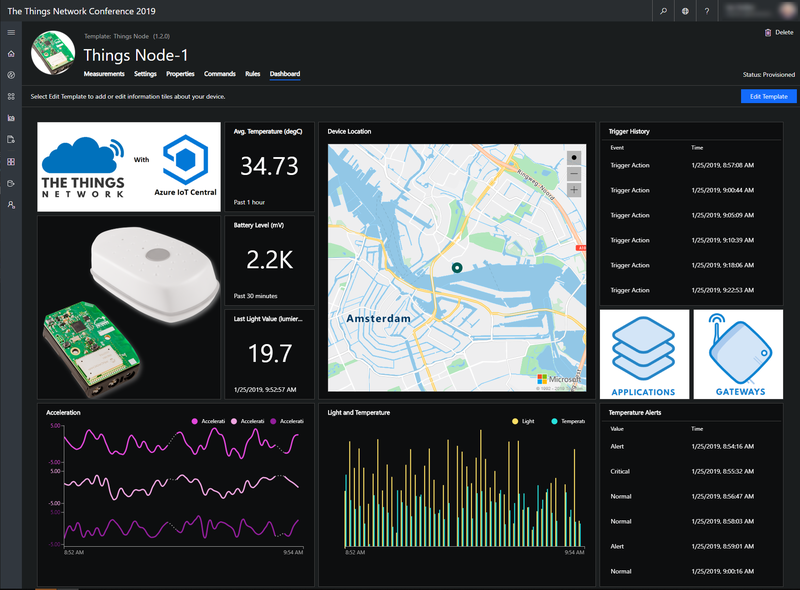 Last week at The Things Conference in Amsterdam, Microsoft and The Things Network Foundation collaborated with 2,000 LoRaWAN developers, innovators, and integrators on connecting devices to Azure IoT Central using the open source project Azure IoT Central Device Bridge. If you are planning to or already developing LoRaWAN solutions, join the project today and contribute your code, comments, and suggestions. Intelligent healthcare, including IoT technology, is a key way to address these critical challenges. Intelligent, connected solutions are lowering costs, increasing patient care and health, and improving clinician and patient satisfaction. If you’re planning to attend HIMSS, you’ll definitely want to register for IoT in Action in Orlando on February 11, 2019, where you’ll discover how IoT and intelligent solutions are transforming the healthcare industry. IoT in Action is a fantastic opportunity to share ideas and build connections in the rich Microsoft customer and partner ecosystem. The Azure Marketplace is the premier destination for all your software needs – certified and optimized to run on Azure. Find, try, purchase, and provision applications & services from hundreds of leading software providers. You can also connect with Gold and Silver Microsoft Cloud Competency partners to help your adoption of Azure. In the second half of December, we published 46 new offers. Get the Ansible solution template from the Azure Marketplace, which you can use to configure an Ansible instance following best practices with minimal Azure knowledge. With a handful of user inputs and a simple single-click deployment through the Azure portal, you can provision a fully configured Ansible instance in minutes, which can use Azure services anywhere across the globe. This solution template will install Ansible on a Linux VM based on CentOS 7.5 along with tools configured to work with Azure. In this first of a five-part series, Shivnath Babu, CTO and Co-Founder at Unravel Data discusses key considerations in planning for migrations. Unravel Data is an AI-driven Application Performance Management (APM) solution for managing and optimizing big data workloads. Unravel Data provides a unified, full-stack view of apps, resources, data, and users, enabling users to baseline and manage app performance and reliability, control costs and SLAs proactively, and apply automation to minimize support overhead. Upcoming posts will outline the best practices for the migration, operation, and optimization phases of the cloud adoption lifecycle for big data. 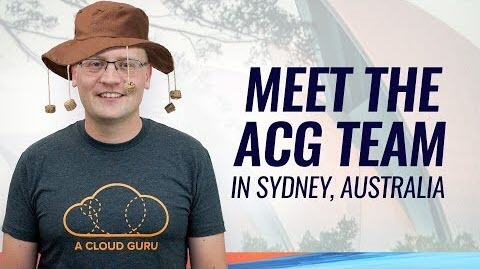 This time on Azure This Week: Lars talks about Azure Security Center making it easier being compliant with regulatory constraints, OpenAPI Specification v3 support in Azure API Management now in preview, and the team from A Cloud Guru will be at The Ignite Tour in Sydney.